Cambodia could easily be called the one-dollar country; almost everything offered to you as a tourist on the street costs a dollar. But dealing with people trying to sell you all kinds of useless (and occasionally useful) stuff all the time can get a bit frustrating. 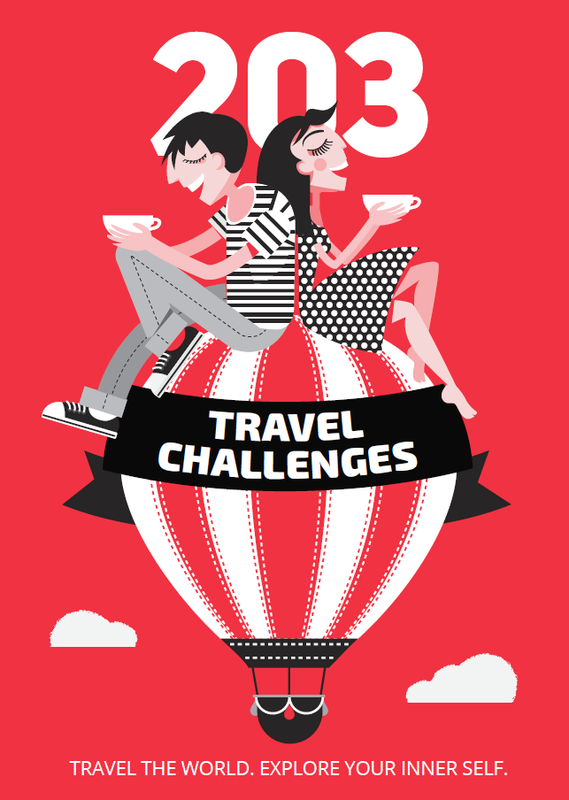 You might start to feel like your human relations have been corrupted by the tourism industry. Not all Cambodians, however, see you as a walking bag of dollar bills. You will meet many friendly, smiling people who are genuinely interested in you and your story. 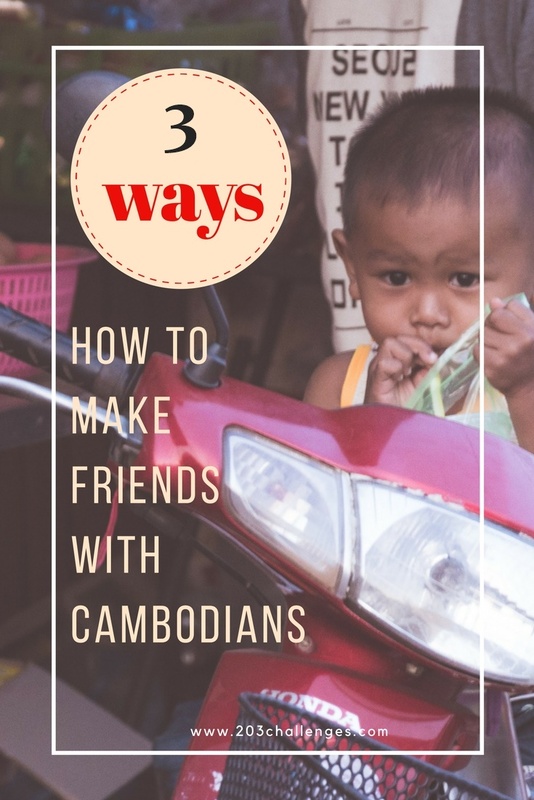 If you want to make friends with everyday Cambodians, here are three suggestions that helped me during my last trip to Cambodia. There are so many places to eat in Cambodia’s tourist areas that you might want to try a new one every time. Return to a place you liked, though, and you’ll experience true Cambodian hospitality. We visited the same restaurant in Angkor Wat two days in a row and on our second day we got two free bottles of water when we were leaving. We couldn’t believe that the owners remembered us from the previous day, as there were literally hundreds of people eating there both times we visited. This heartwarming gesture was even better appreciated as it was a scorching day and I had been feeling a bit ill.
Every time we smiled at random people on the street they gave us a genuine smile in return. 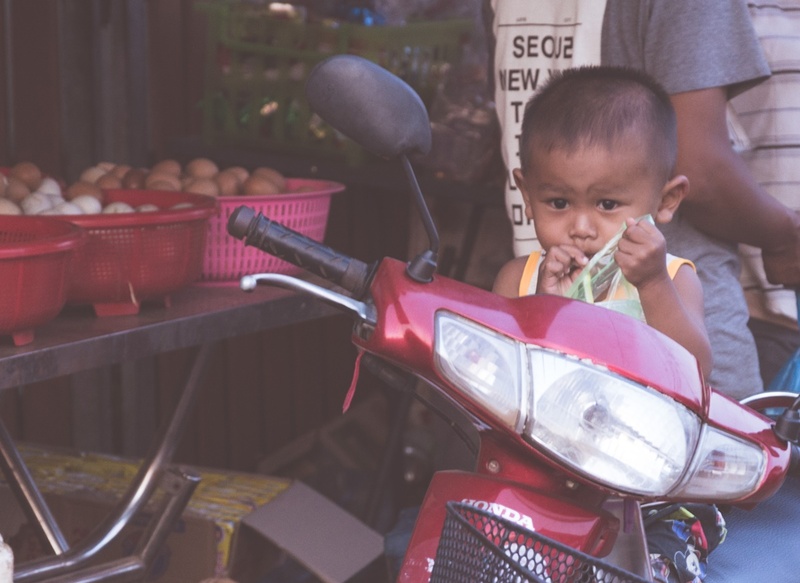 In tourist areas like Siem Reap, even toddlers would smile back and shout a sweet “hello” in English. I always smile at unknown people when I want to take a photo of them – in most cases, a broad smile makes them feel at ease and happy to be photographed. At one of the hostels we stayed at in Cambodia there were some useful phrases in Khmer written on the walls, but once I’d learned them, I started asking the receptionist for more. 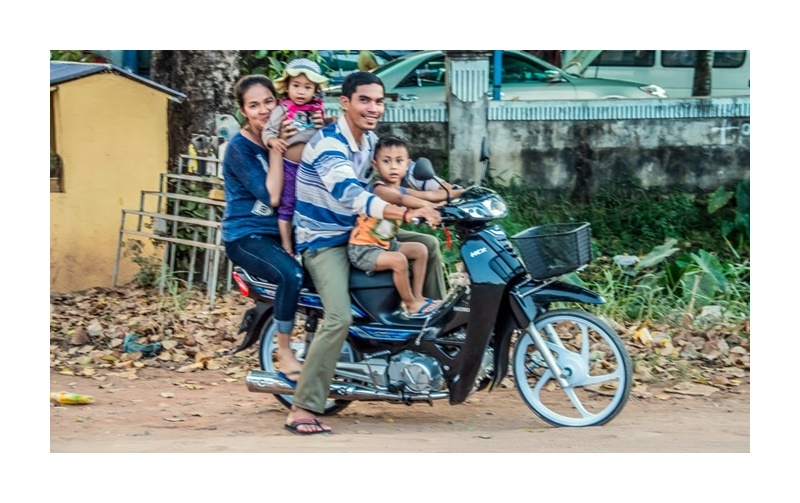 As this was a family business, soon the whole family gathered to give me a language class in Khmer, including their four-year-old twins who spoke perfect English due to the constant flow of tourists through the hostel. Even the little ones were happy to teach us some words in their native language. Bonus tip: take it easy! 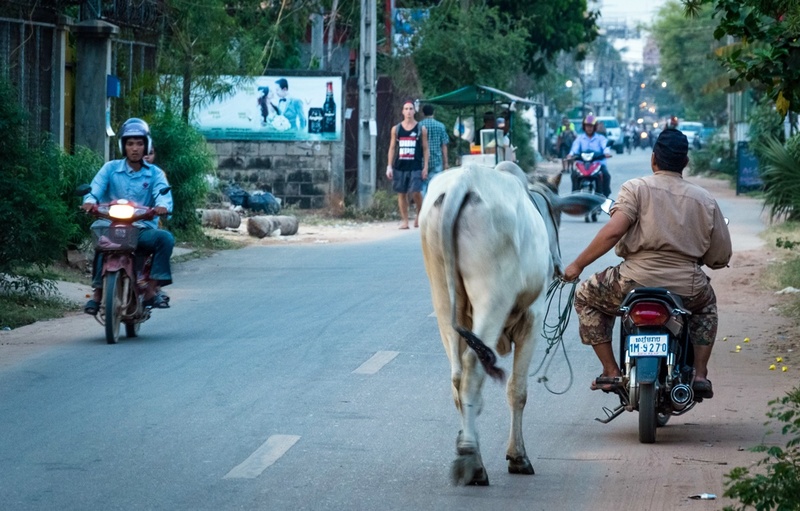 Being nervous, hasty or creating a feeling of urgency is useless in Cambodia, where nobody wears a watch and the phrase “take your time” is perceived as a rule. The best approach is to absorb the timelessness and stop trying to impose your concept of punctuality upon people if you want them to be your friends.